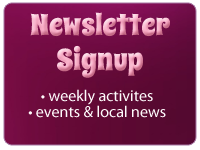 The Ultimate Resource for West Island Moms & Dads! Recently I had the pleasure of visiting the newest local business in Pierrefonds- S.A.M Learning Center. 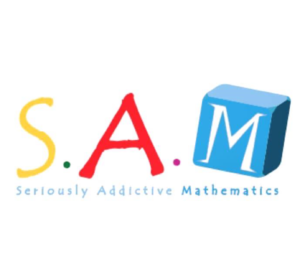 SAM is known for their Singaporean Math method. They teach you the skills and methods on the best way to learn math. Along with Math they also teach languages such as French and Mandarin. 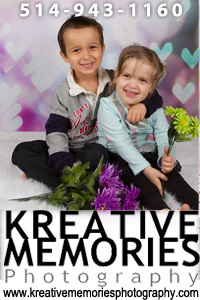 Many different programs are offered to suit your child’s needs. They also offer camps from spring break to summer camps. For those preparing for the entrance exams, they also offer classes on how to prepare. Check out our video review below for more info and get to see this beautiful location and it’s offerings. SAM Learning Center wants to give away some prizes. What city is SAM learning center located in? Fill out the form to enter the contest. Contest closes on March 30th. To find out more about SAM, please follow them on Facebook to stay up to date. Due to the crazy storm coming our way tomorrow, most schools have closed. New Frontiers School Board – Off-territory schools serviced by the New Frontiers School Board will not have transportation. — This list will be updated as Info is released. 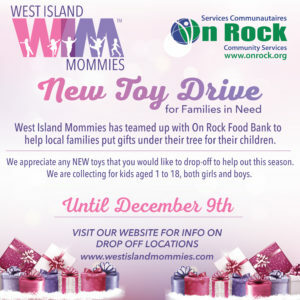 West Island Mommies fans – we are calling on you to help out this holiday season! 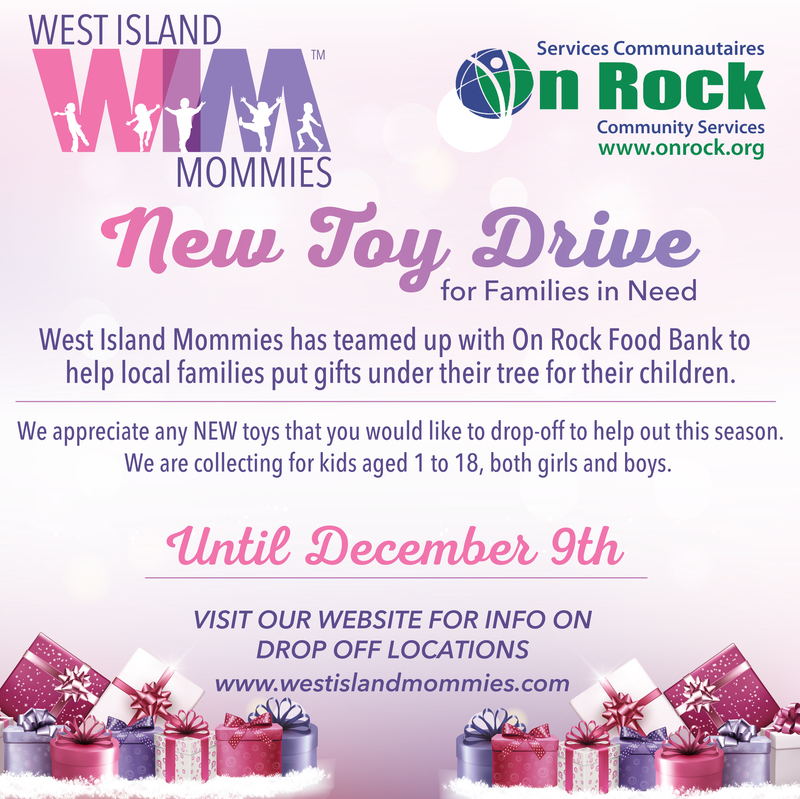 We are teaming up with local food bank On Rock to help families in need in the West Island this holiday season. 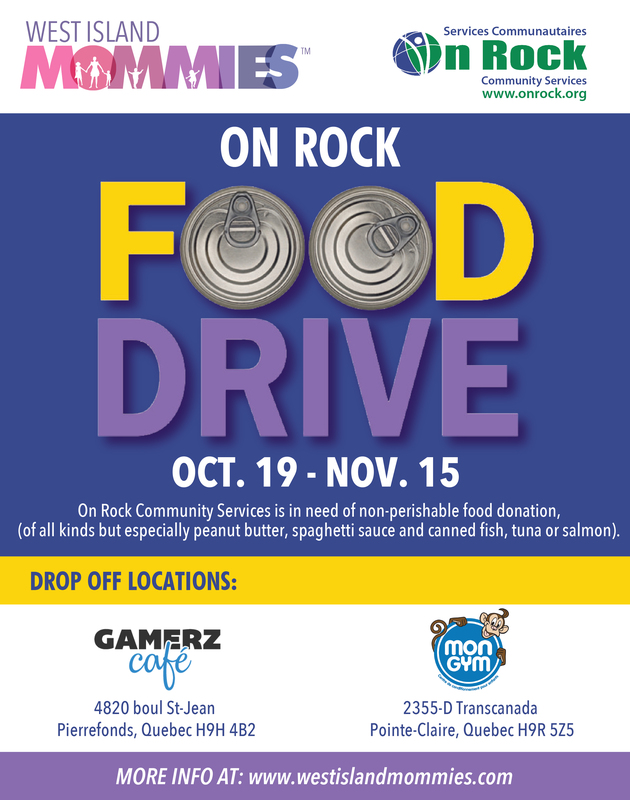 On Rock is a food bank located in Pierrefonds that delivers much needed food to close to 300 families every week. For Christmas they will be delivering a food basket to each of these families so that they can enjoy a traditional Christmas meal and with the food basket, they also include a box of gifts for the children under 18 in the family. While they are in need of gifts for all ages, the older groups are always the hardest to fill, so we want to help them in all age groups. New toys for the younger ages are great, but they are looking for gift cards to give out to the older kids as well. A suggested amount for the gift cards would be about $10 to $15 for some shopping (ie. Fairview) or perhaps to the movies, chapters, Pharmacy, Walmart, Visa, Etc. Please arrange for a drop off on these items and not to our drop off locations. These baskets are being delivered to families on Dec. 15th, so the deadline to drop off your gift donation is Dec. 9th. We know we can count on our great community to help out these families this Christmas season, so thank you in advance to all those that participate in this drive with us! We also want to thank our partners for drop-off points for this campaign – Mon Gym Pte-Claire, Plaza Pointe Claire, Ted’s Hobby Shop , Gamerz Cafe. Every month On Rock Community Services, has 275 families they provide food baskets for. The need for food is growing everyday. We need your help. Calling on all the west islanders for your help more than ever now. 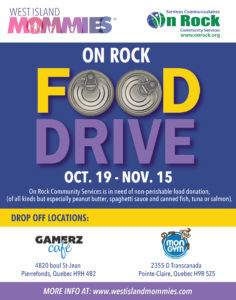 This food drive will run until November 15th. Keep those canned goods coming. Start collecting your toys for our 4th Annual toy drive which will kick off November 17th. More details to follow. The Holiday Train Schedule is out! 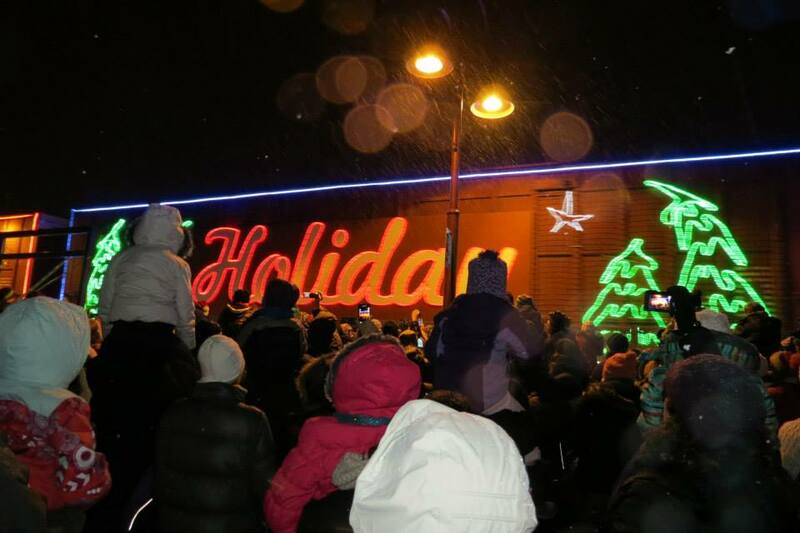 Have you ever taken the family to see the CP Holiday Train? It’s a great way to kick off the Holiday season! As packed and crazy it can be, it’s so much fun. One year it even snowed which made it more magical. If crowds are not your thing, you can stand at one of the train stations along the 20 like Pointe Claire, Cedar park and you can watch the train drive by lit up. By not being at the beaconsfield train station, you miss out on the entertainment, food donations and much more. The CP Holiday Train program launched in 1999 and has since raised more than C$14.5 million and gathered 4.3 million pounds of food for communities along CP’s routes in Canada and the United States. 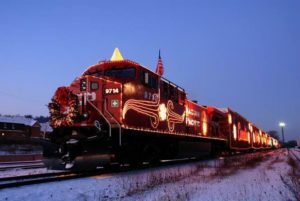 Beginning in Montreal on November 25 and 27 respectively, two trains will make the festive journey, travelling through both the U.S. and Canada to bring holiday cheer to 164 communities along CP’s network. Each event is free, with CP encouraging attendees to open their cupboards and wallets to help address hunger needs in their communities. Local food banks will be accepting donations at each stop to ensure those less fortunate have enough healthy food this holiday season. The Canadian Train will depart Montreal on November 27. Kelly Prescott will join three time Juno award-winner Terri Clark and Sierra Noble to spread holiday cheer through Ontario, Manitoba and Saskatchewan to Calgary, Alta. Sam Roberts Band will then carry on through Alberta and British Columbia to the final show of the 2018 CP Holiday Train tour in Port Coquitlam on Dec. 18. For more info on the full schedule, check out their website. 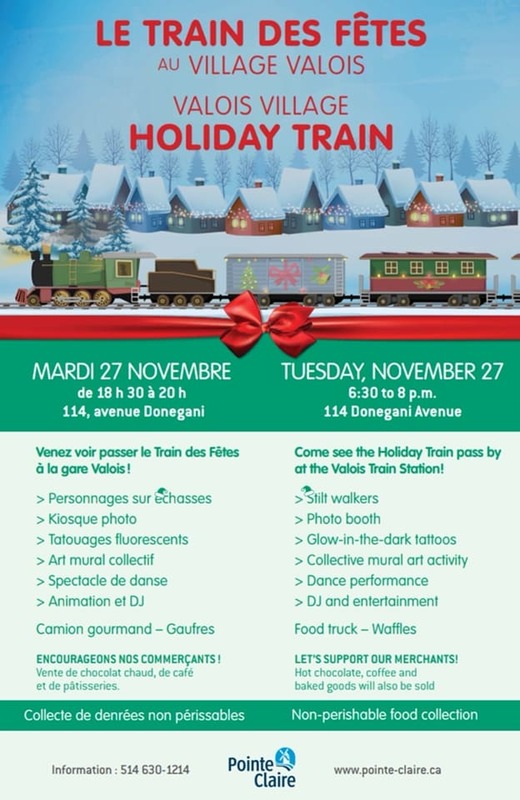 The Holiday Trail will be arriving at Beaconsfield Train Station on Tuesday November 27th at 8pm. This year’s entertainment will be Terri Clark, Sierra Noble and Kelly Prescott which starts at 8:15. Arrive early as parking is very limited. The onboard entertainment will be from 8:15 to 8:45pm. Even Santa makes a visit! Join the EVENT on Facebook to be reminded about this great event! Valois Train Station in Pointe Claire is also hosting a party. Hang out there and watch the train go by. Have some hot Cocoa and enjoy the local businesses. 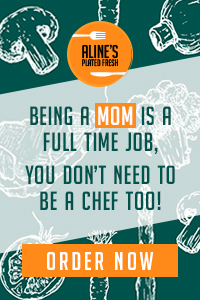 Copyright © 2019 West Island Mommies. All Rights Reserved.